Ralph Louis Temple’s 1940’s painting of Minerva Street;click for a larger image (image courtesy Cecilia Boler and Reginald Temple). 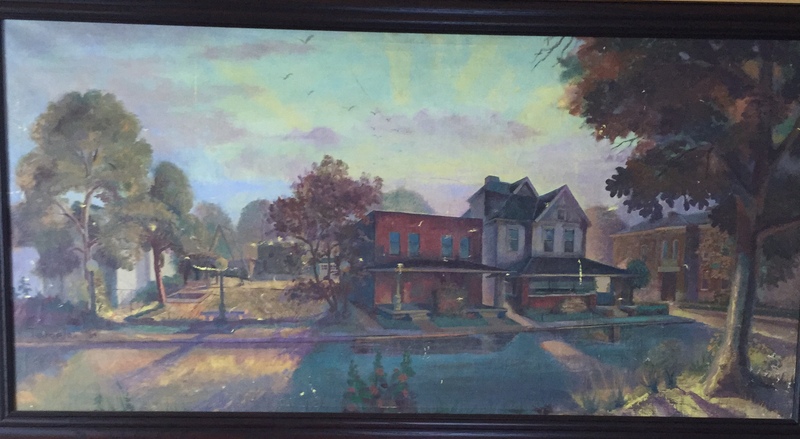 Around World War II artist Ralph Louis Temple painted a series of oil studies of his Indianapolis neighborhood. 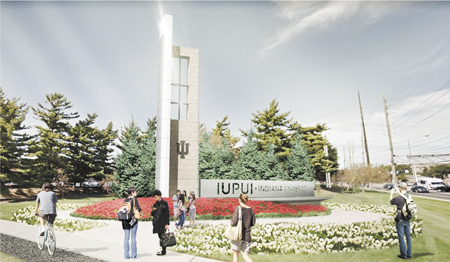 Temple’s family had lived on Minerva Street since 1866, when Ralph’s great grandfather Carter Temple Sr. came to the Circle City. Ralph Temple’s painting featured the double at 546-548 Minerva Street, the neighboring corner home at 550 Minerva, and William D. McCoy Public School 24 in the background along North Street. Carter Temple Jr.’s granddaughter Cecelia was still living in the home at 550 Minerva Street in 1978, the last of a century of Temple family to live on Minerva Street. Her brother Ralph’s paintings of the neighborhood cast it in a quite different light than the dominant rhetoric and imagery that aspired to displace families like the Temples. 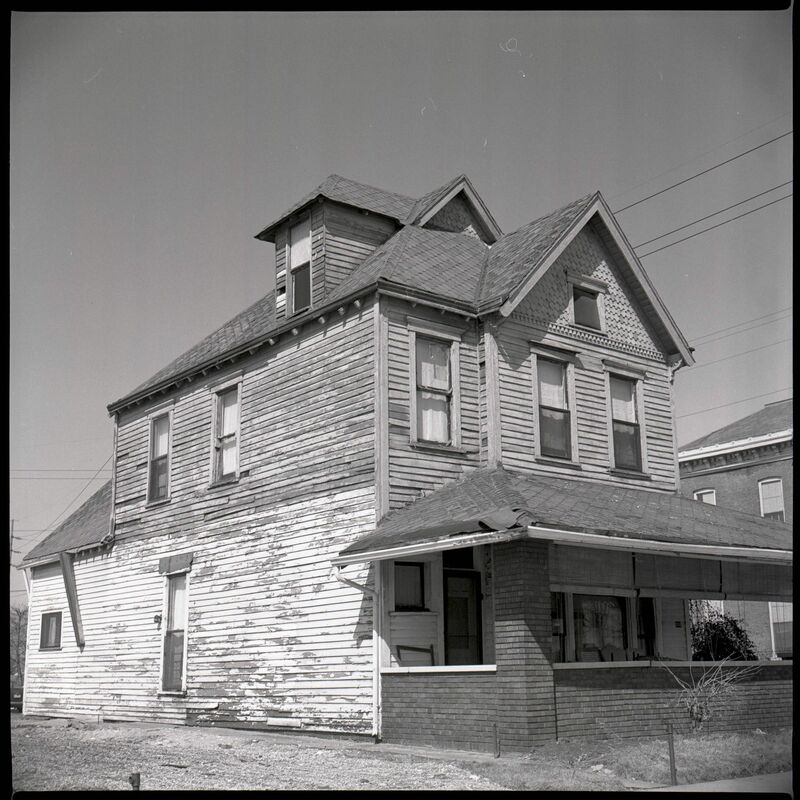 The house at 550 Minerva Street in the late-1970’s (Indiana Landmarks Central Canal & IUPUI Image Collection).